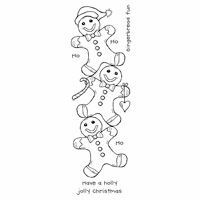 A fun Christmas clear stamp featuring three cheerful gingerbread men and two Christmas messages, the gingerbread men can be used as they are or cut out and separated to use individually, perfect for all types of Christmas card making and craft projects. 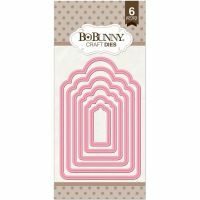 Size 6.5 x 18cm or 2.5 x 7.25 inches approx. The clear stamps are ready to mount on an acrylic block (not included).